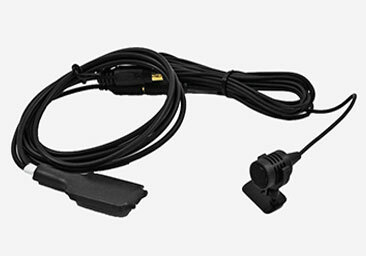 The GROM-BTD Bluetooth Dongle allows the seamless bluetooth integration for all vehicles supported with GROM Audio USB, iPod/iPhone and AUX interfaces. This add-on dongle is needed if you want to add Bluetooth functionality to GROM-USB3 or GROM-MST4 USB Android iPhone Car Kit. Allows for a wide set of functionality to be added: Bluetooth Hands free (HFP), Bluetooth Audio playback (A2DP), Bluetooth wireless audio control (AVRCP). In hands free mode you are able to: accept call, reject call, adjust audio volume - all using car stereo and steering wheel controls. Bluetooth Audio playback allows you to stream the music directly from your phone to the car stereo. Now you are able to listen to your MP3s or Pandora played from your mobile phone on car stereo. Bluetooth wireless audio control (AVRCP) allows you to forward or backward your music playback via car stereo/steering wheel controls. Note 1: Bluetooth text is currently supported on certain Toyota, Lexus and Honda stereos only! 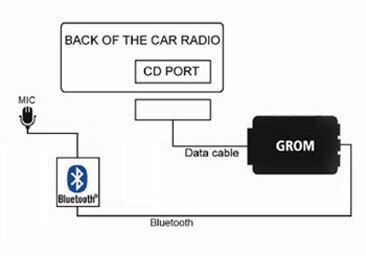 Note 2: GROM-BTD Bluetooth Dongle is compatible with GROM-USB2P batch number 844 and up. It is not compatible with the older USB2P/USB2 models.